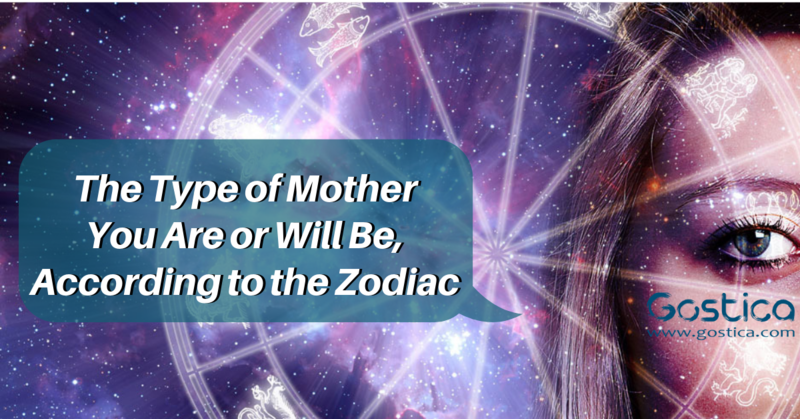 Our zodiac signs say a lot about us but have you ever considered what your sign might say about your mothering skills? While there is no set way to parent a child, mothers come in all shapes and sizes. Below I am going to go over each zodiac sign and what kind of mothers usually fall into each one. While you might not think much about the traits that make up your sign you should. While none of the signs are what you’d call bad mothers, some of them are better than the others in their own ways. The Aries mother pushes her children to work hard in the same ways that she does. She doesn’t spend as much time on them and doesn’t focus much on their emotional side. She wants to give them the best of everything but everything in her eyes is not everything in the real world. The Taurus mother has a short temper and is often overreacting to things that don’t really matter. She tries to help bring out the best in her children but also sometimes forgets to let them be themselves. As a mother, the Taurus is able to really communicate with her kids on a level some mothers cannot. That being said, they do try hard not to disappoint which causes a bit of disconnect. The Gemini mother is a bit overbearing. She wants to be her children’s best friend but only when it is convenient for her. This causes a bit of confusion and makes it hard for them to talk to her sometimes. However, the Gemini is easily one of the funniest moms around. The Cancer mother is too caring. She waits on her children hand and foot. She tends to coddle them to the point where they are a bit overly needy towards her and sometimes not in a good way. While her kids love that they can tell her anything they rarely let her in emotionally because she is overly sheltering. The Leo mother tends to try and live out her dreams through her children. She makes them into her friend rather than her offspring and ensures that they are following the path she wishes she could have. This makes them lose sight of who they are and can be a bit tricky. As a Leo mother, it is important to remember that children are not replicas of ourselves. The Virgo mother is a bit confusing. She might respond badly to things you think she would respond well too and vice versa. She is always making sure her children are striving for the best and makes sure to correct them when they’ve messed up. While this is not necessarily bad, it can get to a point where the child feels inadequate. As a mother finding balance in that is important.